What if our relationship to food was like our relationship to storytelling; where mealtime, the end-product of a process, teems with meaning and soul? What if a carrot wasn’t just a carrot, but a beloved family heirloom of your elderly neighbor, used exclusively to make vegetable-based soup stocks rich with transcendentally meaty flavors? Slow Food has done more to identify and preserve beautiful food ways of life than any other globally recognized non-profit – that craft foods and their base products are worth preserving for the mere poetry of their existence, and the alternative, viable economies in which such poetry is a muse. 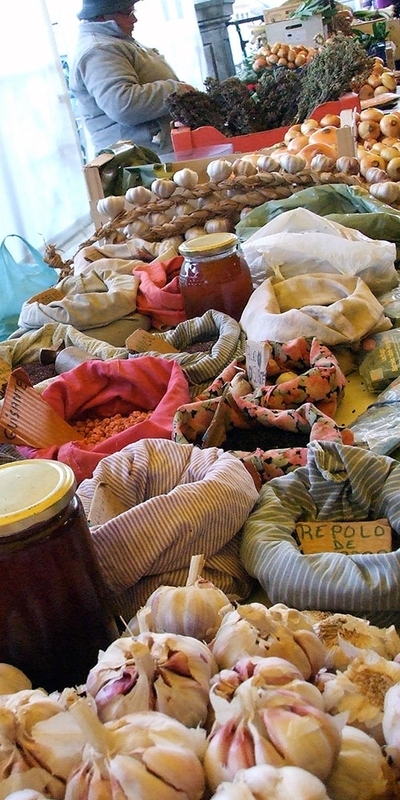 Over the years, Seed Savers Exchange members have recovered crop varieties of historical importance that directly tie into the notion of terroir ("a taste of place" worth preserving) and the mission of Slow Food. While the scope of Slow Food encompasses all traditionally-made (typically craft) regionally significant food products, their work overlaps heavily with ours: uniting people whose passion is to save heirloom and heritage agricultural products from the brink of extinction. Slow Food houses numerous umbrella projects, the Ark of Taste being its most substantial food recovery effort: a catalog of rare and endangered heritage foods whose lives we can save by eating them, thus ensuring they’ll continue to be valued and used (keeping sustainable harvesting practices always in mind). Steered by participatory nominations, an “Ark of Taste” committee gathers to determine through set evaluation criteria, a nominated product’s history, taste, whether it’s available in limited quantities, sustainably harvested or produced, and whether it’s endangered, at risk, or under appreciated. Like Seed Savers Exchange, the Ark exists because of average citizens offering up rare heirloom varieties for preservation. 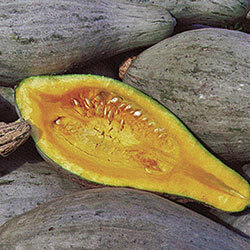 Seed Savers members have introduced 35 varieties to the Ark. Originally introduced by Hiram Sibley & Co. in 1887, the Sibley Squash is a perfect example of what happened to thousands of old varieties at the advent of hybrids – the erosion of genetic diversity and subsequent closure by the thousands of seed companies. Grown by an elderly woman in Iowa for over 50 years, its flavor becomes richer after the New Year – don’t eat until then, if you can help it! One of the oldest known heirloom beets still in cultivation, introduced in America around 1820 and a parent of the Detroit Dark Red beet – Slow Food USA states that “the dark red flesh remains flavorful, tender and juicy even when the beets grow large. Eaten raw the beet has an apple-like, slightly astringent flavor with a rich, earthy finish. 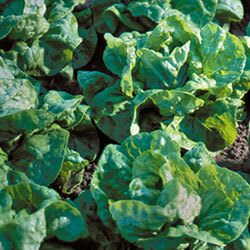 The beet is good both boiled and baked and the leaves are an excellent cooked green. 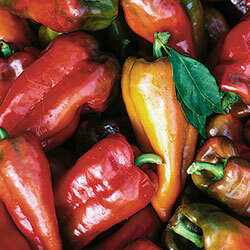 It is a superb winter storage variety, keeping well in root cellar storage for 8 months or more. Variable rate of maturity may make this beet less desirable for commercial harvest (and this may explain its disappearance from seed catalogs in the latter 20th century), however this characteristic is a plus for the small farmer and home gardener.” Flavorful greens, too. Brought to Beaver Dam, Wisconsin in 1912 by the Hussli Family – Hungarian immigrants – ‘Beaver Dam’ makes a darned fine goulash and is highly versatile (used in sandwiches, stuffed with cheese, baked, stir-fried, pickled, canned…). The fruit’s sweet & spicy flavor has become the darling of restaurateurs everywhere, showcasing how near-extinct varieties can be revived through reintroduction into popular imagination. A favorite of Thomas Jefferson, the coolest use for Tennis Ball is pickling in a salt brine solution; doing so ensures the lettuce can be tapped in the dead of winter for a much needed “greens” boost (which was particularly appealing for pre-refrigeration era families). Also used as a side dish to meals. The Hidatsa American Indians existed once upon a time along the Missouri River Valley of North Dakota. This bean was planted traditionally in a “three sisters” configuration (the three sisters being corn, beans, and squash). The Hidatsa people were devastated by small pox in the mid-1800s, and this bean exists today as a small part of their ancestral legacy. These beans have a pole habit and were introduced to the Ark in 2005. They make an excellent soup. Perhaps more aptly described as a fruity tomatillo than a low-growing stone fruit, these ground cherries bear marble-sized golden fruits surrounded by inedible papery husks. ‘Aunt Molly’s’ originates from Poland and is revered for its high pectin content (perfect for sugarless preserves). It’s a sweet treat for all ages, especially because of its versatility as one of the most natural “pre-packaged” snacks commercially available. You can find each of these varieties (grown and shared by farmers, gardeners and chefs around the country) through our seed exchange. Purchase these six varieties as a seed pack collection through our online store. We encourage you to participate in the preservation of these varieties by growing them, eating them, and sharing both the produce and seeds with your community, thus ensuring their legacy continues.